When ads are good, they connect people to interesting, useful brands, businesses and products. Unfortunately, not all ads are--some are for fake or harmful products, or seek to mislead users about the businesses they represent. We have an extensive set of policies to keep bad ads out of our systems - in fact in 2015 alone, we disabled more than 780 million ads for reasons ranging from counterfeiting to phishing. Ads for financial services are a particular area of vigilance given how core they are to people’s livelihood and well being. According to Wade Henderson, president and CEO of The Leadership Conference on Civil and Human Rights, "This new policy addresses many of the longstanding concerns shared by the entire civil rights community about predatory payday lending. These companies have long used slick advertising and aggressive marketing to trap consumers into outrageously high interest loans - often those least able to afford it." Last week marked the first visit of a U.S. President to the Hannover Messe, the world’s largest industrial trade show. Hannover is the birthplace of Gottfried Wilhelm Leibniz, who is credited with helping create binary code, the 0’s and 1’s that make up all things digital. It’s fitting that Google helped document President Barack Obama and Chancellor Angela Merkel’s tour of the Fair with several 360-degree cameras - a perfect way to combine digital and industry in front of an international audience. 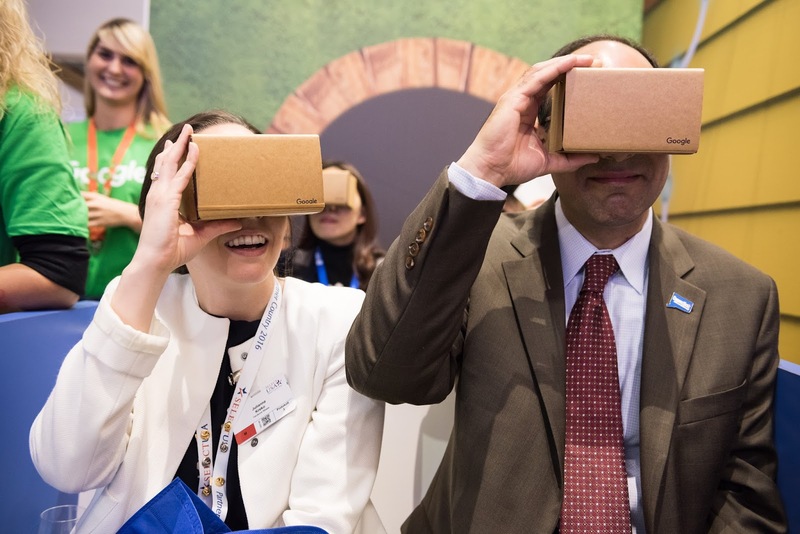 The video allows you join the delegation of the two heads of state for a virtual tour you can watch on YouTube, or by using a virtual-reality (VR) viewer like Google Cardboard. Before the tour gets started, U.S. Commerce Secretary Penny Pritzker explains the importance of the President’s trip to Germany and the collaboration between US and German business. It’s a great opportunity to see the Fair, take a look at the booths of economic development delegations from most of the fifty United States, and catch a glimpse of some of the happenings taking place in the middle of the Select USA partner country area. One stop on the tour was the JobsOhio booth, where the President and Chancellor viewed a demo of a made-in-Ohio 3D printer. Take a look at the demo, and then turn around to see the press capturing their visit. The President’s Press Secretary Josh Earnest concludes the video in front of the Young Tech Enterprises show floor, where Google sponsored space for emerging startups to showcase their innovations. Google was thrilled to host promising startups like: INFARM working to help cities with efficient food production; RELAYR providing an innovative enterprise middleware platform; WATLY combining a solar water purifier with power and connectivity; DAS TERMINAL offering digital banners and marketing solutions; KIWI providing hands-free access solutions for apartment buildings; UNU tackling the challenges of urban mobility through innovative e-scooters; and Beaconinside offering integrated next generation indoor location-based experiences. So how'd we do VR? We used a mix of 4K cameras that are positioned to take pictures in every direction. We then used software in post-production to help stitch together the picture to transport you right into the action! The cameras were provided by our YouTube spaces in Berlin, London, and Paris in true European collaboration. 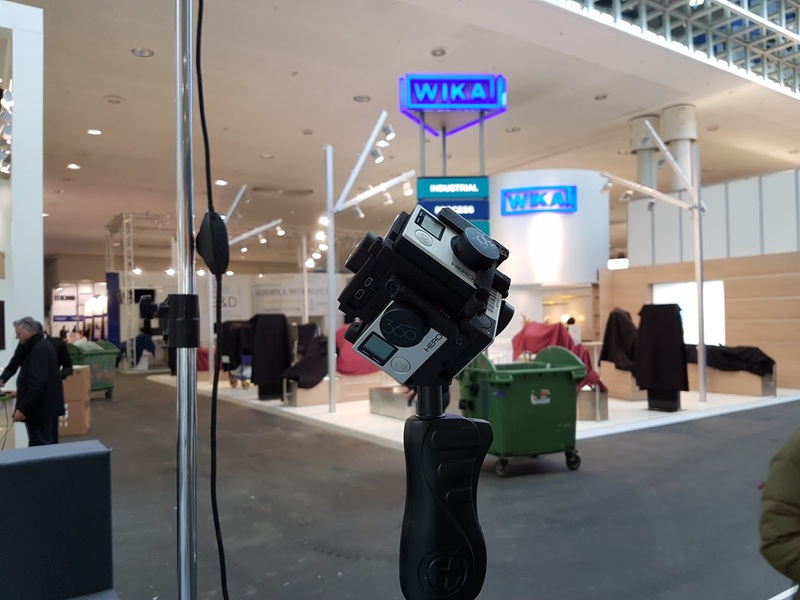 360-degree cameras and virtual reality are unique technologies to experience events like the Hannover trade show through a new perspective. If you couldn’t get to Hannover this year, seeing this incredible industrial fair in 360 might be the next best thing. We were thrilled to capture this special moment with two important world leaders -- and even more excited that we could share it with you! Watch the full VR tour in English on YouTube, and in German on the Berliner Morgenpost website.